Have you noticed how often the prices on Amazon fluctuate? 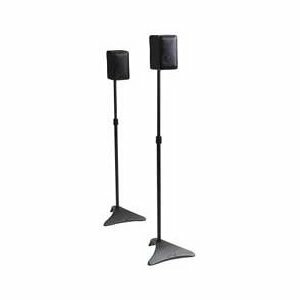 I bought a sound system this weekend and Sony recommends Atlantic Satellite Speaker Stands. Amazon had them for $39.99, which is extremely reasonable for a Sony endorsed product. Of course I didn't order because I am privvy to Amazon's price shifts. Back in the day they would price match themselves for up to 30 days. Then they started adjusting prices as if it were a stock market and had to stop the program. For example, today the speakers cost $29.73, so by waiting two days I'd save over 25%. I'm going to continue holding out though. I'm expecting Amazon giftcards from Swagbucks this weekend and according to MyPriceTrack, the lowest price on this set was $24.18 just 22 days ago. The average price is $32.39 so by jumping on it today I'd only be saving $3. The next time you're in the market for a casual Amazon purchase, try out MyPriceTrack and see if the wait is worth it.